Belgium Ghent's Museum of Fine Arts is displaying paintings loaned by a private collector, while Russians suspect they weren't painted by Malevich, Kandinsky and others. Would you think it's possible that one Russian emigre art collector has cheated a respected European art gallery? Russian art experts cast doubt on the provenance of a collection of rate paintings. 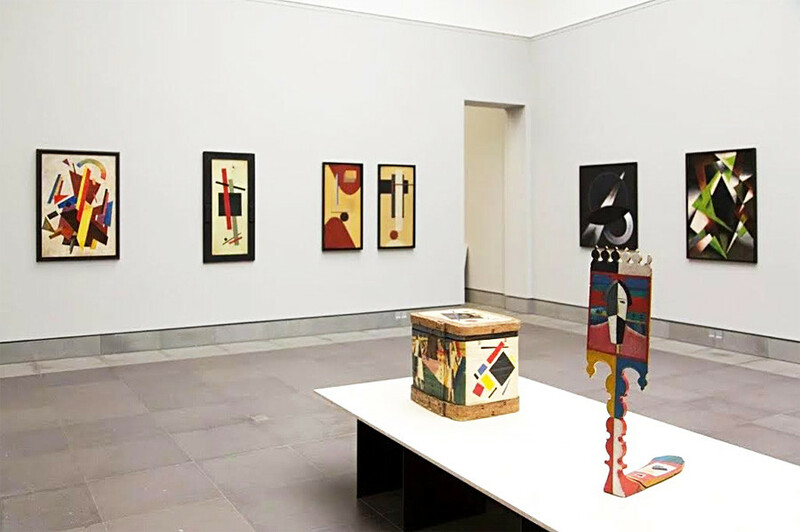 In October 2017 the Museum of Fine Arts in Ghent (MSK) refreshed its collection, adding more than 20 paintings of the Russian avant-garde attributed to such major names as Kazimir Malevich, Wassily Kandinsky, Vladimir Tatlin, El Lissitzky, Natalia Goncharova, Mikhail Larionov and others. The masterpieces are said to have been loaned on a long-term basis by the Dieleghem Foundation owned by an art collector Igor Toporovski. On Jan. 15 The Art Newspaper Russia published an open letter (in Russian) regarding the paintings that "cause many questions." Signed by a group of Russian and international art experts, the letter says that the museum's website doesn't give any information on how they obtained the paintings. Moreover, the artworks are not mentioned in any serious scientific papers and have no exhibition or sales history. 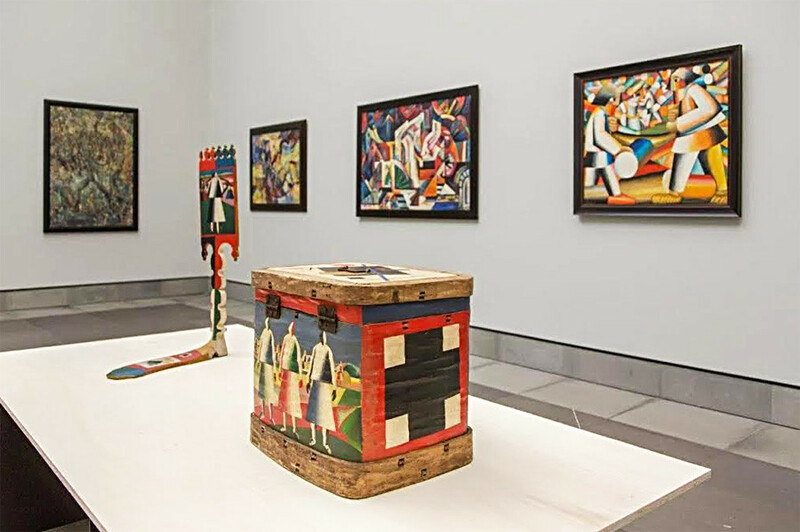 "Some items, for example, a chest and spinning wheel allegedly painted by Kazimir Malevich, have no known analogs and there is no historical evidence or even mentions that the artist ever ornamented such objects," the letter says. Experts say the museum should remove the paintings from display until their origins are clarified so as not to mislead visitors. 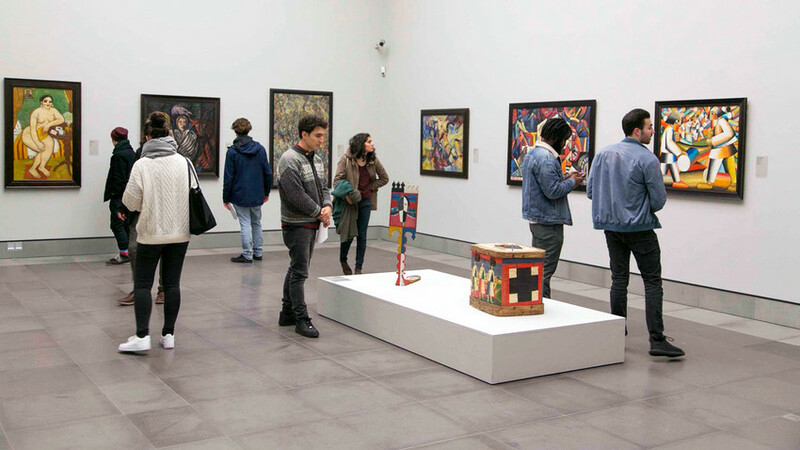 As quoted by Belgium papers, the museum director Catherine de Zegher is going to display more paintings from the foundation in 2018 and "to rewrite the history of Russian avant-garde." Meanwhile, the group of experts cite concerns that de Zegher lacks the experience to make her an expert on Russian avant-garde painting. The Artnet News website contacted Igor Toporovski, who said he has a file on each work of art with its provenance, history and technical description (condition) and can provide all the information on request to professionals. He said that his wife Olga is a relative of Anton Pevzner and Naum Gabo who allegedly collected Russian avant-garde. Though Naum Gabo's daughter told The Art Newspaper Russia she had never heard of Olga Toporovski and that her father didn't leave any Russian avant-garde art in Russia. All other sources of the art collection Toporovski mentioned also remain unconfirmed. Toporovski, who – displeased with Putin's regime – emigrated in 2006 from Russia to Belgium, also claims that he was an advisor to Mikhail Gorbachev, but a spokesman for the Gorbachev Fund denies this. Toporovski is reported to have more than 300 Russian masterpieces but renowned art historian and curator, Konstantin Akinshi, one of the open letter authors, says he cannot find any evidence of Toporovski ever having collected work in Russia. Toporovski and his wife are understood to be working on a permanent home for their holdings in Jette, Brussels, which is expected to open in 2020. Did you know that Malevich is one of those Russian artists whose paintings are most admired by counterfeiters? Find out more about Russian artists who are a forger’s delight. Which Russian contemporary artists are on top?